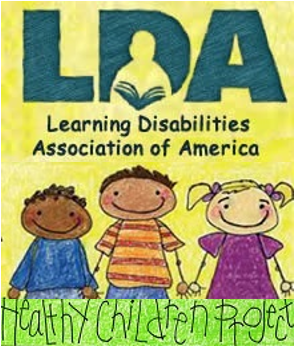 If you know that you or your child has Learning Disabilities (LD) it is important also to know that about 50 percent of individuals with LD will also have one or more “related disorders”. There is a continuum of neurologically based disorders that are frequently found together. The basic concept is that if something impacts on the developing brain, resulting in an area or system being “wired differently,” it is possible that other areas might be involved as well. 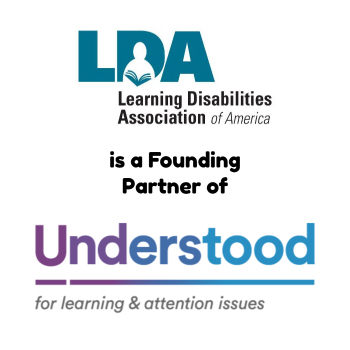 These related disorders are referred to as “comorbid conditions.” If you or a family member has LD, it is important that the professionals working with you explore if any or all of these other problems be recognized so that they, too, can be addressed. Before discussing each of these possible comorbid conditions, it will be important to explain how to distinguish between an emotional problem that might result in behaviors that look like these neurologically-based problems and true neurologically-based problems. If the problem (e.g., anxiety, depression,) is the result of emotional stress and emotional problems, they will begin at a certain time (e.g., “only began in third grade”) and/or will occur only in certain situations (e.g., only when asked to read aloud). If the problem is neurologically-based it will have been apparent since an early age and will be noted in most/all situations; that is, they are chronic and pervasive. People with LD may also have a Language Disability. He or she will have difficulty quickly processing what is heard, often not being able to fully understand or to keep up. Others may have no difficulty speaking when he or she initiates the conversation, but have significant difficulty finding the right words and organizing thoughts when asked to respond to a question or comment. Thus, language disabilities might result in receptive and/or expressive language problems. Another possible cortically-based problem relates to a Motor Coordination Disorder (often referred to as a “Sensory Integration Disorder”). One might have difficulty coordinating teams of small muscles (fine motor skills), resulting in poor handwriting and possibly in difficult with buttoning, zipping, or tying. Others might have problems coordinating teams of large muscles (gross motor skills), resulting in being clumsy and running with poor coordination. Some might have difficulty coordinating eye-hand activities (e.g., coloring and staying within the line) or knowing where they are in space (e.g., bumping into things, knocking things over). Another aspect of motor problems might relate to maintaining balance, resulting in difficulty riding a bike or in quickly going down stairs. Finally, some with motor problems might be very sensitive to touch. They don’t like being touched and complain about how their clothes feel against their skin. In addition to possible language or motor difficulties, some individuals with LD might have problems with such higher level tasks as organization and executive function. He or she will have problems organizing materials, losing, forgetting, or misplacing things. Or, the problems might relate to organizing ideas when speaking or when writing. Executive function problems relate to analyzing tasks, then deciding how to address these tasks, and finally knowing how to carrying them out in a timely way. Attention-Deficit/Hyperactivity Disorder (ADHD). About 50 percent of individuals with LD will have ADHD. This problem is characterized by a chronic and pervasive history of hyperactivity, inattention, and/or impulsivity. The inattention might relate to being distracted by what is seen or heard. 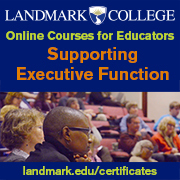 It is commonly seen as a problem with organization and difficulty with executive function. It is not uncommon for adults or children with LD to struggle with anxiety, depression, and/or with anger control as a result of the frustrations and failures experienced. These emotional problems usually start at a certain time and relate to specific circumstances/stresses and are thought of as secondary emotional problems. But, for 50 percent or more of individuals with LD, the problems with regulating their emotions are not related to a situation, they are neurologically-based. These problems have a chronic history, often beginning in early childhood, and are pervasive, occurring at home, in school, with friends, and during any month. Often, there is a family history of similar problems. These disorders might be related to specific themes such as separation, social interactions, performance, specific objects, or specific places. Or, the anxiety disorder might be generalized to most aspects of life. If the level of anxiety becomes too great, the child or adult will experience a panic attack with an increased heart rate, breathing rate, sweating and feelings of apprehension. Behaviors suggesting depression might include feeling depressed, an irritable mood, decreased interest or loss of pleasure in many activities, sleep disturbances, decreased ability to concentrate, indecisiveness, agitation, slowness of thinking, fatigue, feelings of worthlessness and, inappropriate anger. Suicidal thoughts or thoughts of death might occur. This problem, also referred to as an “Intermittent Explosive Disorder,” results in angry outburst that go beyond the typical tantrum. They are real melt downs. The child or adult will quickly lose his/her temper, often so fast that it is not clear what set it off. This rage will last for five to ten minutes or up to an hour. During this rage, he or she will be threatening, often screaming, cursing, hitting, and throwing. These behaviors appear to be irrational and the person cannot be reasoned with. This episode ends almost as quickly as it begins. Once over, the person may feel sorry for what was done and have difficulty explaining the behaviors. These problems often begin in early childhood. Some might also have difficulty with obsessive thoughts. Others might have the need to do compulsive behaviors. Common compulsive problems might include the need to count or repeat behaviors, the need to check what was done over and over, the need to collect or hoard objects, the need to arrange and organize things, the need to clean and wash, or the need to bite nails or cuticles, pick at sores, or twirl/pull out hair. Some children and adults may have difficulty regulating certain motor functions. They experience contractions of clusters of muscles causing motor tics. Others may experience the need to say certain sounds or words, called oral tics. These tics may come and go and change in form. If both motor and vocal tics are present, the problem is often called Tourette’s Disorder. It is not clear if this disorder should be seen as a comorbid disorder. It may be present if someone has LD. The primary behavioral pattern relates to mood swings. These swings might be from depression to a state of super happy, referred to as manic behavior. The mind is racing and full of thoughts. It is difficult to stop talking or acting or to relax. Behavior is driven and may appear to be inappropriate. Another possible mood swing is from calm to irritability or rage. As with the other related disorders, these behaviors show a chronic and pervasive history and there is often a family history. If you or your child has a LD and you suspect other cortical problems, such as a Language Disability, Motor Coordination Disorder, or problems with organization and executive function, speak to your child’s principal. You should request that these problems be considered and appropriate evaluations be done. Should they be confirmed, special interventions will be needed; for example, special education, speech-language, occupational therapy services. Specific accommodations will also be helpful. If ADHD is suspected, discuss this possibility with the family physician. He or she should be able to diagnose and treat this disorder. If not, a referral to a general psychiatrist or a child and adolescent psychiatrist may be needed. If any of the emotional regulatory problems or Bipolar Disorder is suspected, seek a consultation with a mental health professional. If medication might be needed, this evaluation might be best done by a general psychiatrist (for adults) or a child and adolescent psychiatrist (for children and adolescents) to clarify the diagnosis and to recommend treatment. Do not believe that LD stands alone. Consider all of these possible related disorders. If you suspect that one or more might be present, seek a professional to confirm the diagnosis and to help with planning the necessary interventions. Start with your child’s primary care doctor and then with appropriate referrals. Hello my name is Kaitlynn. I’m 26 and was diagnosed with Learning disabilities in 3rd grade also short term memory loss. Growing up I struggled with depression and low self esteem and self harm. I did overcome a lot since then but I always had these anger outbursts. It’s happened since I could remember and my mom always told me I have a bad temper and to control it. But when I get seriously anger, it’s beyond just a regular anger fit. Now I’m married and I notice it more because my husband is very threatened when I explode like this. He almost never understands what I get set off by and I can’t always explain well. I’m really bad at explaining things. This article makes so much sense explaining the anger issues a person with LD faces. I thought I was crazy but I know now I’m not. I need help controlling it but he doesn’t want me going to a psychologist. I don’t know what to do. Also we can’t afford to go to a psychiatrist and I live in the Pittsburgh area but are there anger management classes I can take through this organization? I am so glad that this article helped you to feel better about yourself! You said that you have difficulty explaining well what sets you off. While you are angry is probably not a good time to explain to your husband what triggered your anger. However, after you have calmed down, if you can think back on your outburst, maybe you can remember what was happening before then and begin to determine trigger patterns. Then, you could replace the behavior that triggered your anger with another behavior. For example, if completing a cerrtain task makes you angry, trade this task with your husband and you complete a different task. Another idea would be to walk away, exercise, or use mindfulness or yoga exercises to refocus your brain when you find yourself getting angry. You probably do need to see a psychologist. I hate that your husband doesn’t want you to do that. However, most communities have some sort of community counseling service where fees are based on income, so maybe he would agree to you talking to someone in a facility like that. I wish you all the best in dealing with your anger. You have already taken the first step in recognizing this as a challenge and reaching out for support!